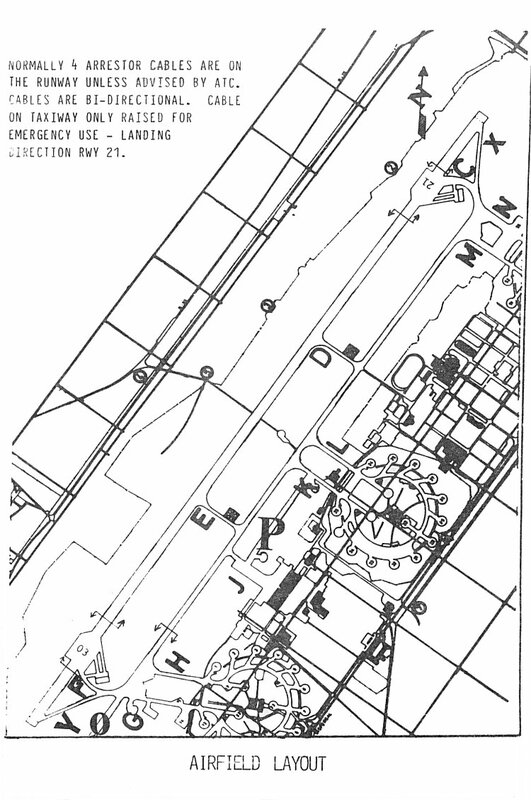 Aerial diagram of the airfield at Baden-Soellingen - 1988. 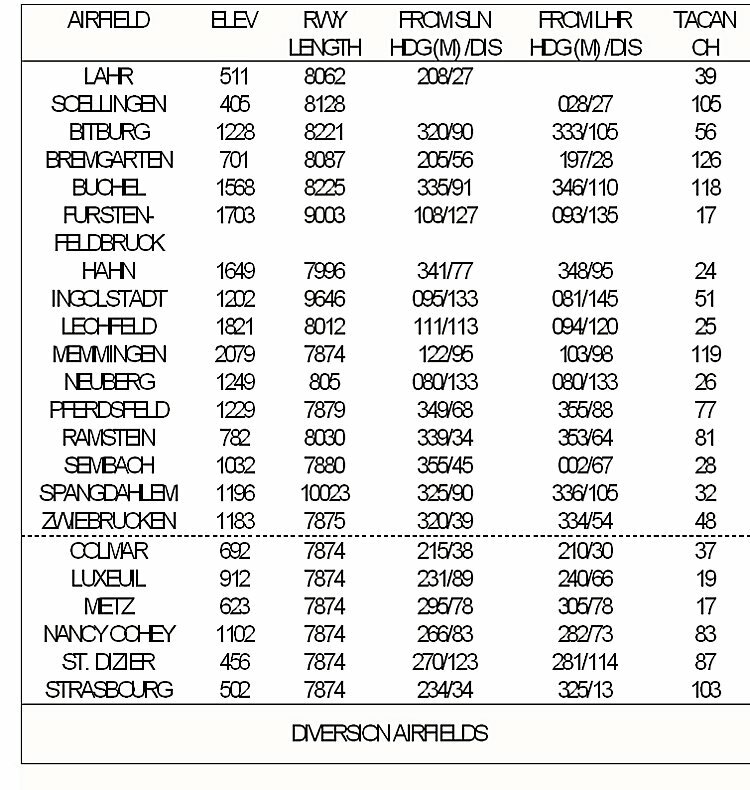 Larger image of the legend for aerial diagram of Baden-Soellingen - 1988. Aerial diagram of the north dispersal area - 1988. 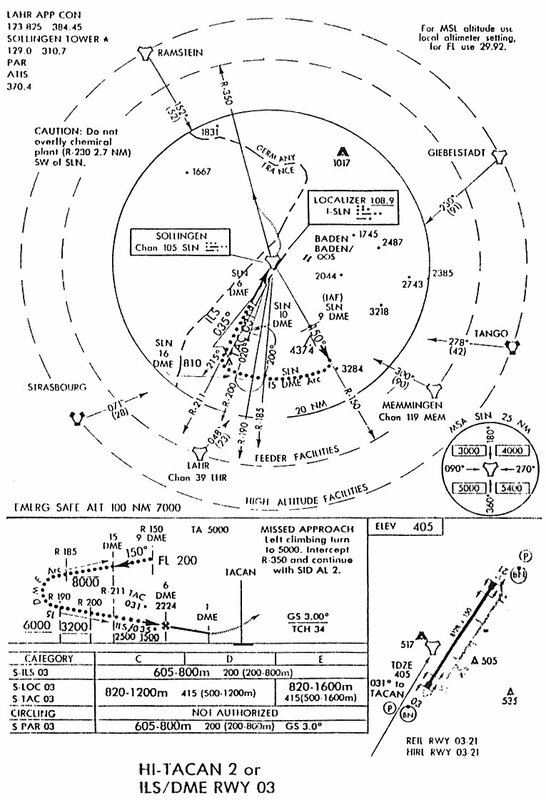 Larger image of the north dispersal area diagram - 1988. Aerial diagram of the center dispersal area - 1988. 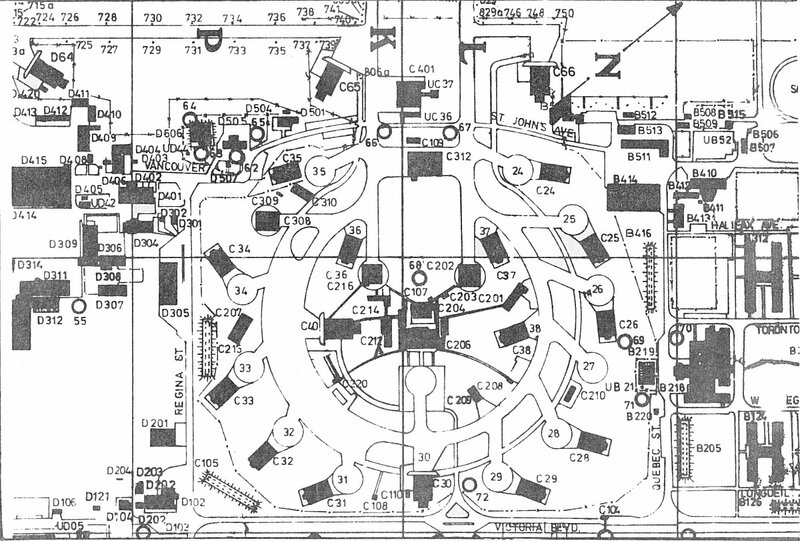 Larger image of the center dispersal area diagram - 1988. 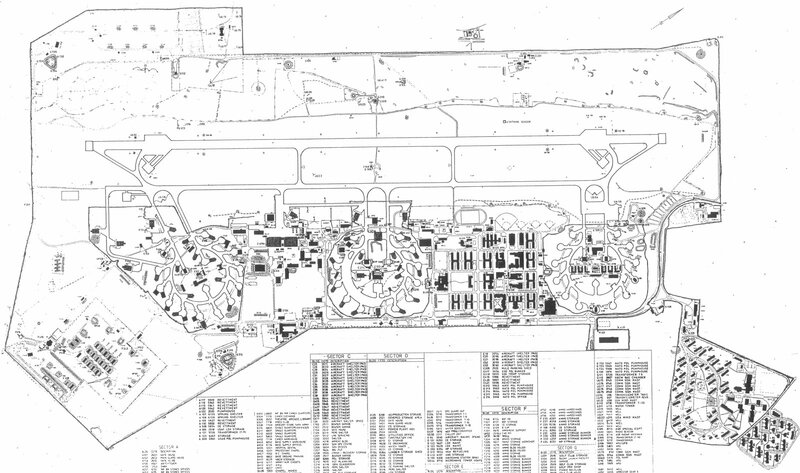 Aerial diagram of the south dispersal area - 1988. 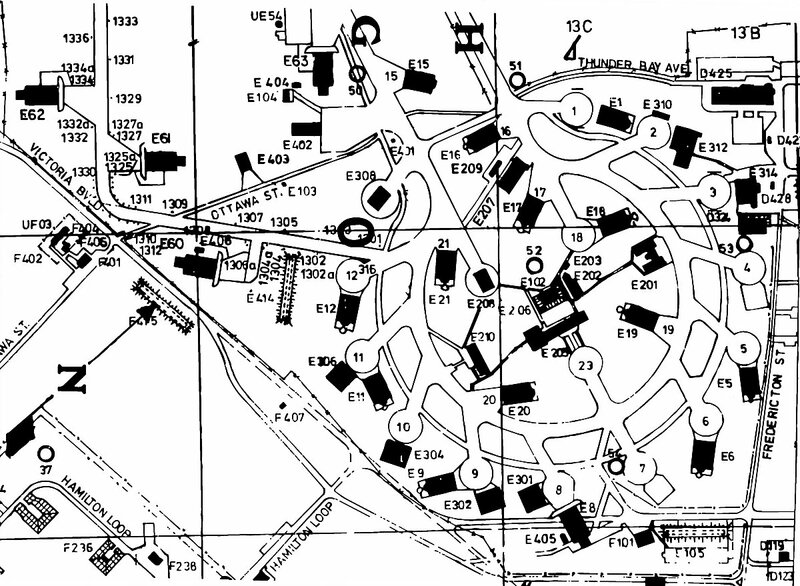 Larger image of the south dispersal area diagram - 1988. 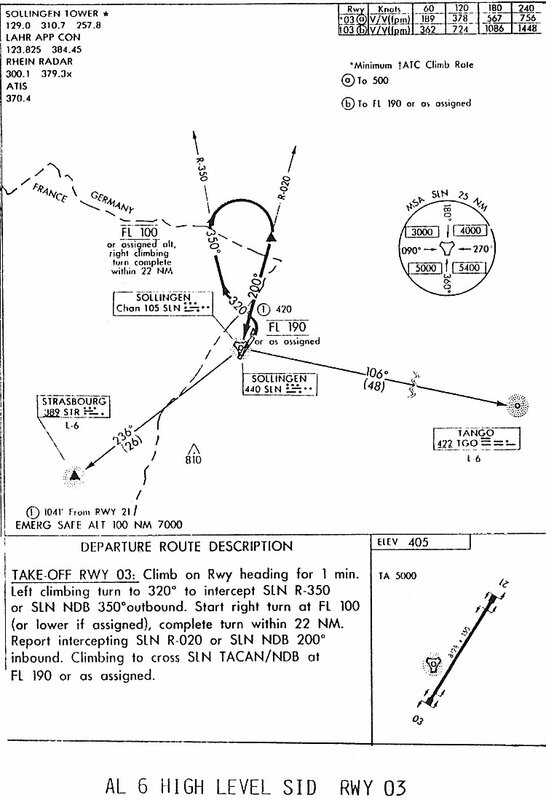 HI TACAN 1 runway 21 chart - 1988. 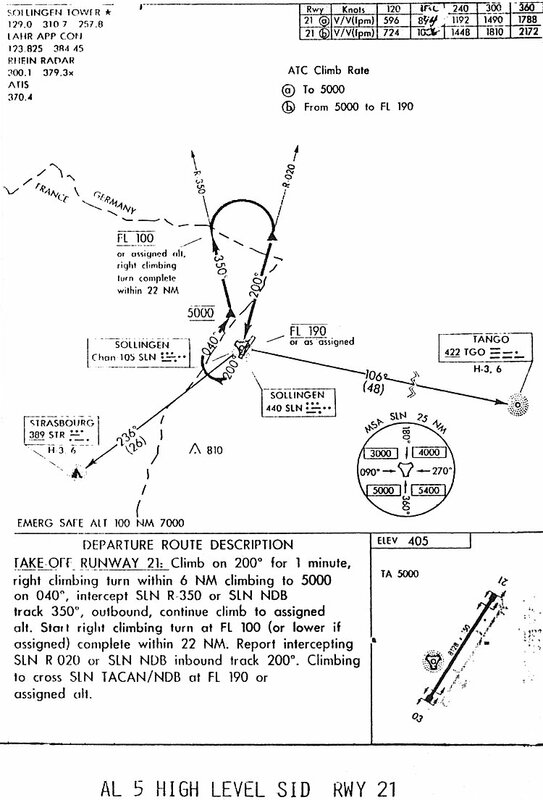 HI TACAN 2 or ILS/DME runway 03 chart - 1988. 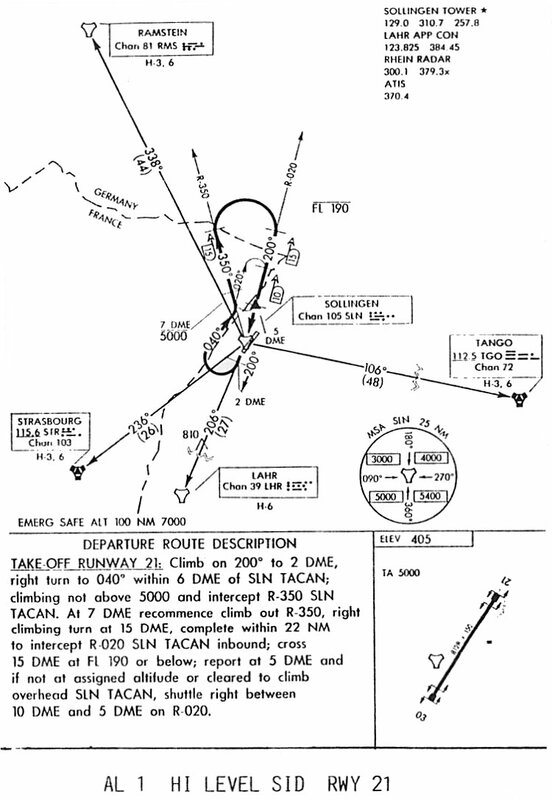 TACAN 5 runway 21 chart - 1988. 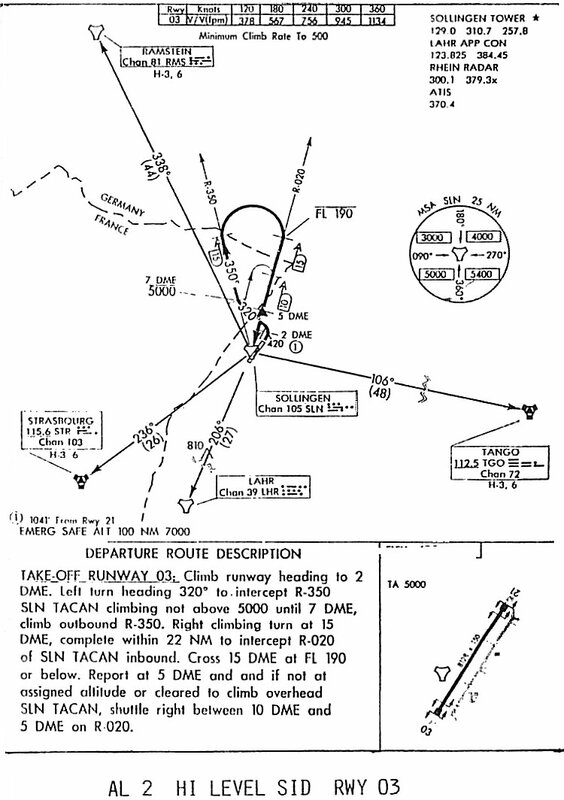 TACAN 6 or ILS/DME runway 03 chart - 1988. 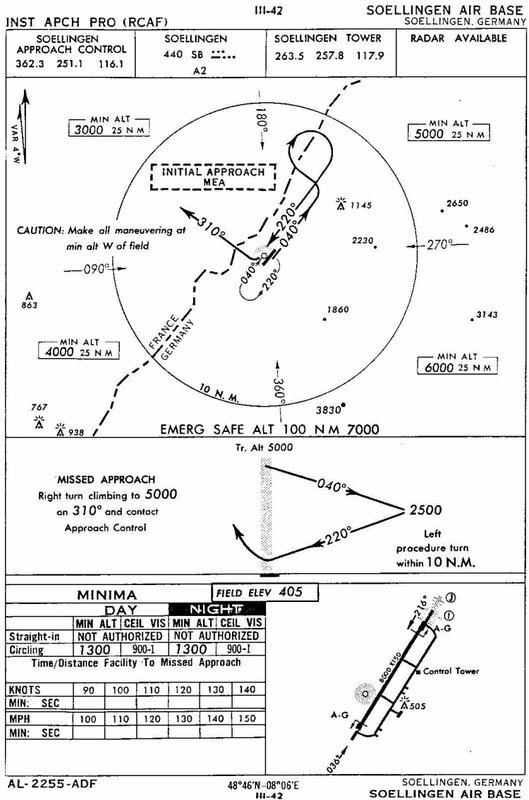 NDB 2 runway 21 chart - 1988. 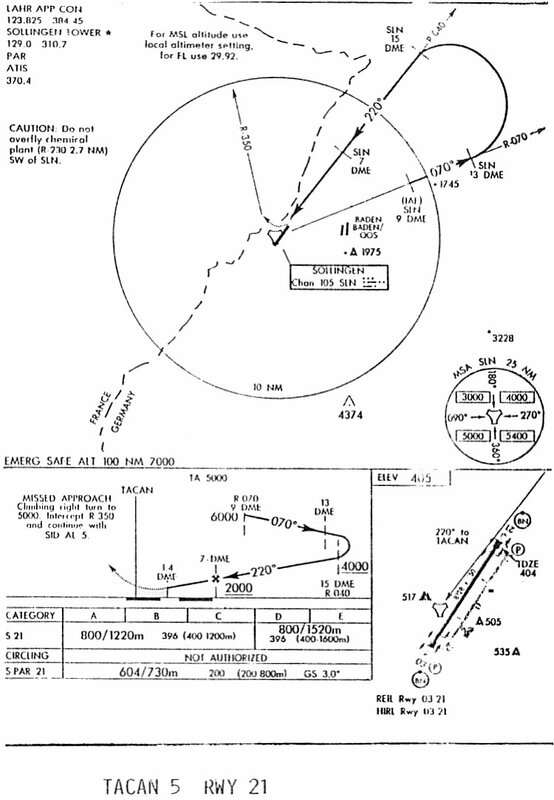 AL 1 Hi Level SID runway 21 chart - 1988. 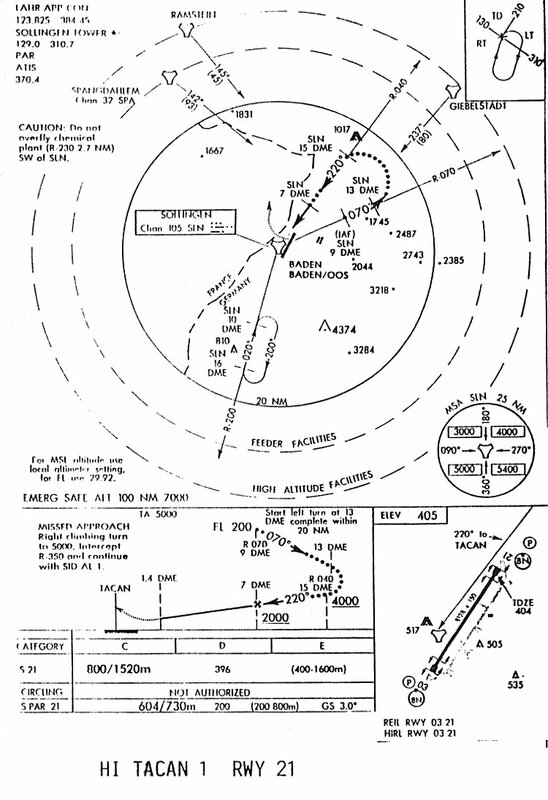 AL 2 Hi Level SID runway 03 chart - 1988. 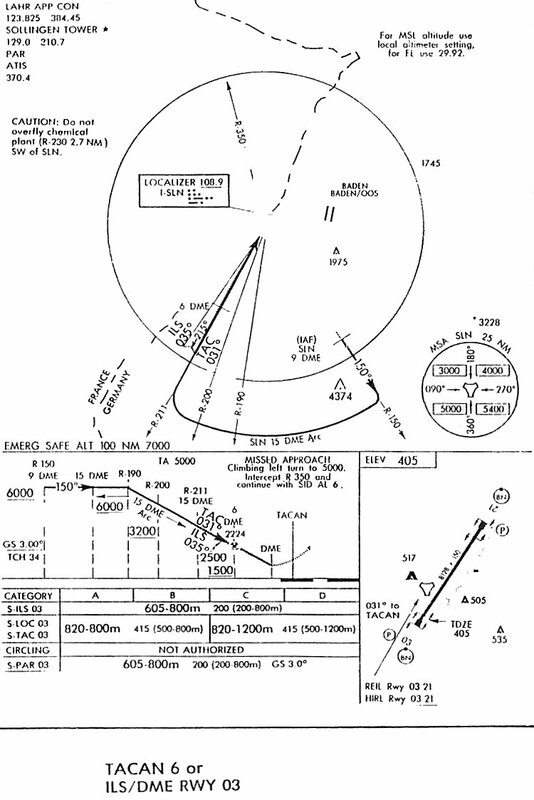 AL 5 Hi Level SID runway 21 chart - 1988. 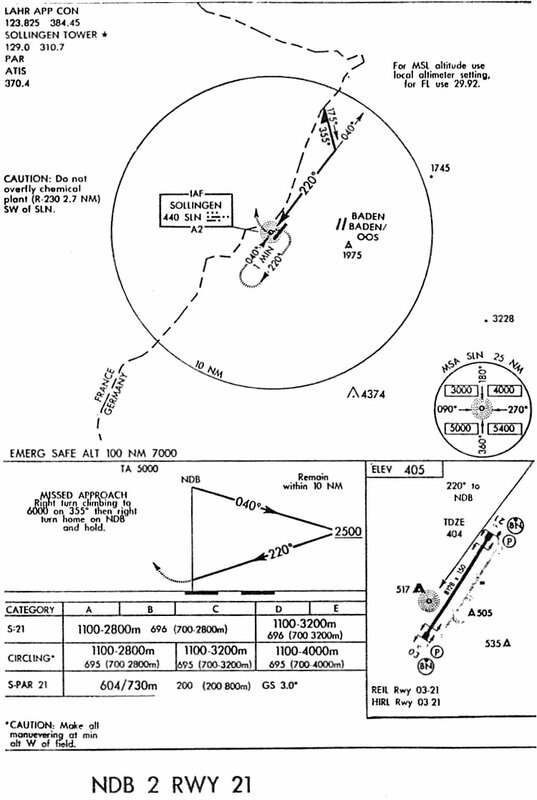 AL 6 Hi Level SID runway 03 chart - 1988. 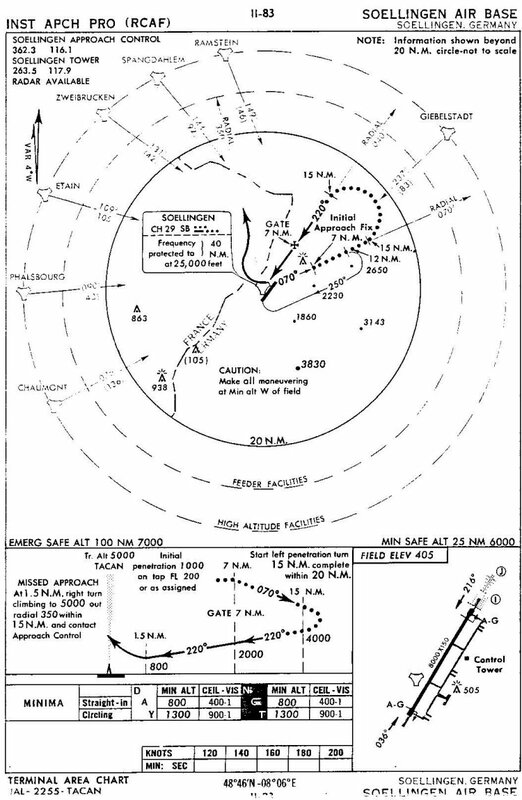 Diversion airfields chart - 1988. 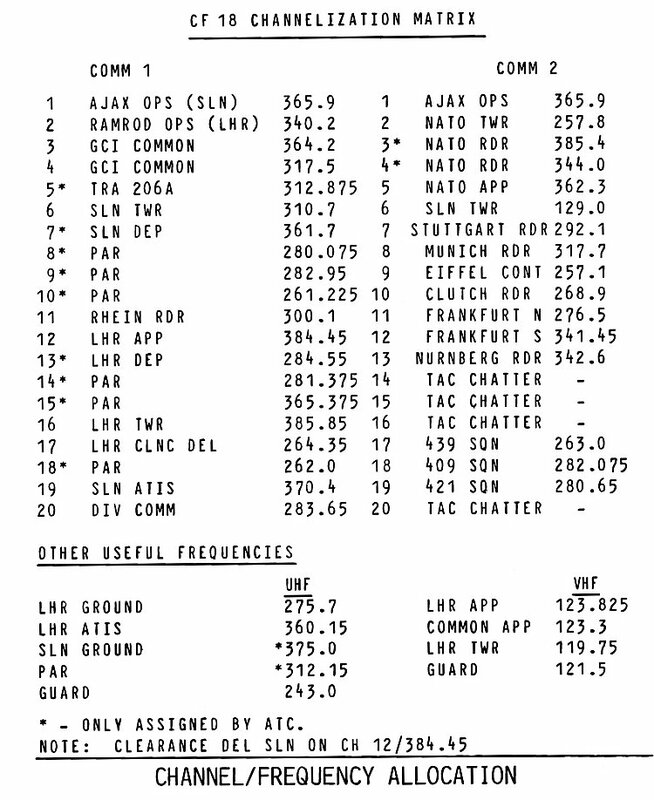 Channel/Frequency Allocation chart - 1988. 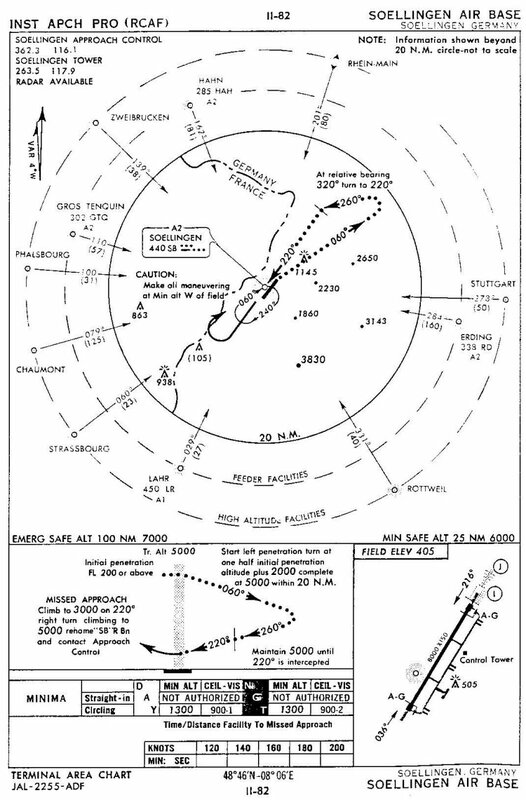 Noise Abatement Diagram - 1988. 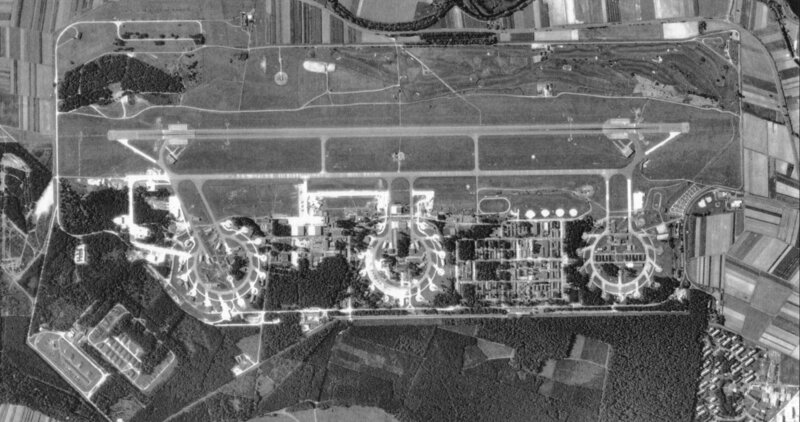 Aerial photo of the airfield at Baden-Soellingen - 21 September 1987. 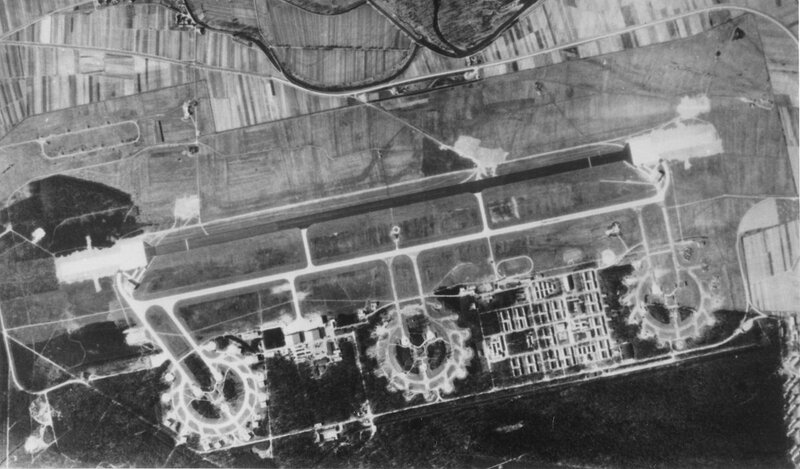 Aerial photo of the airfield at Baden-Soellingen - 1966. 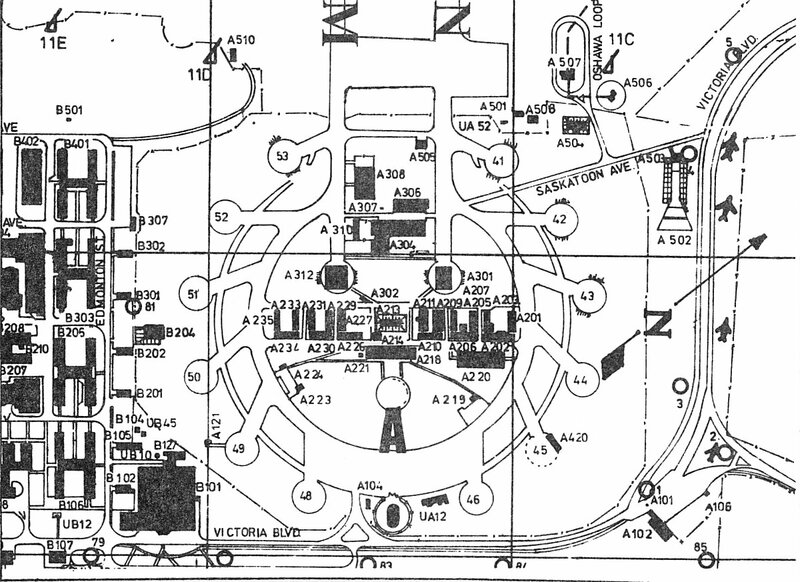 Baden-Soellingen aerodrome detail - 13 September 1963. FLIP Chart. 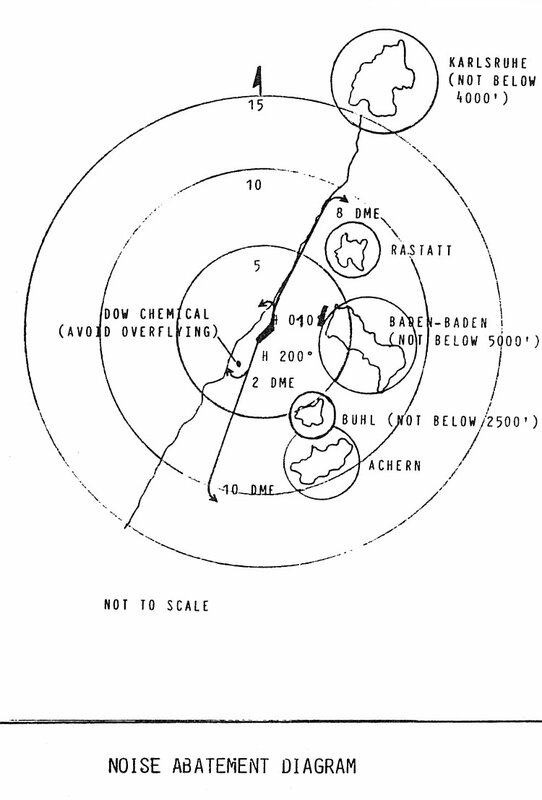 High Altitude TACAN Approach - 13 September 1963. FLIP Chart. 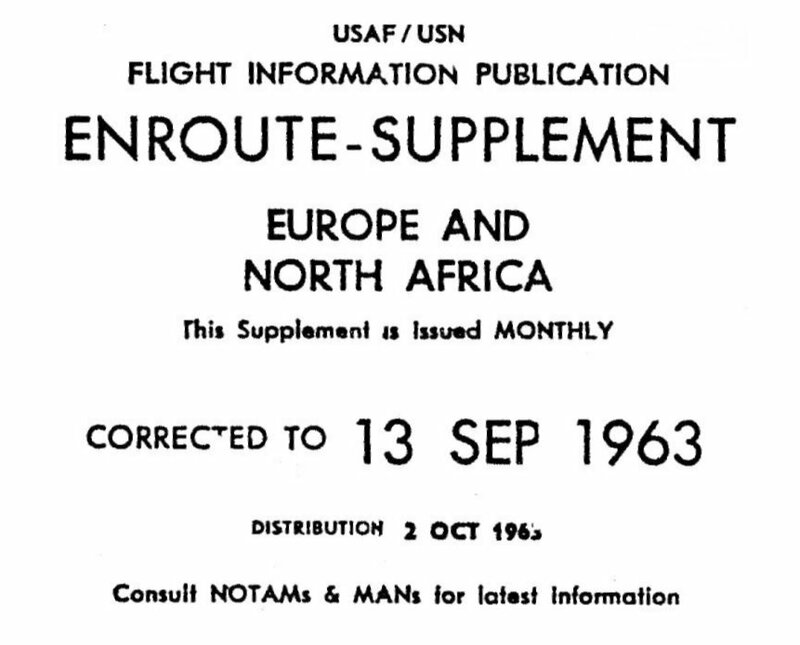 High Altitude ADF Approach - 13 September 1963.